Today we celebrate women everywhere with International Women’s Day. Yoga may have patriarchal roots, but it has evolved greatly since its inception. Women are at the forefront of yogic society – and our studio. Debbie Fung and Jason Lu opened the first Yoga Tree location in 2007. 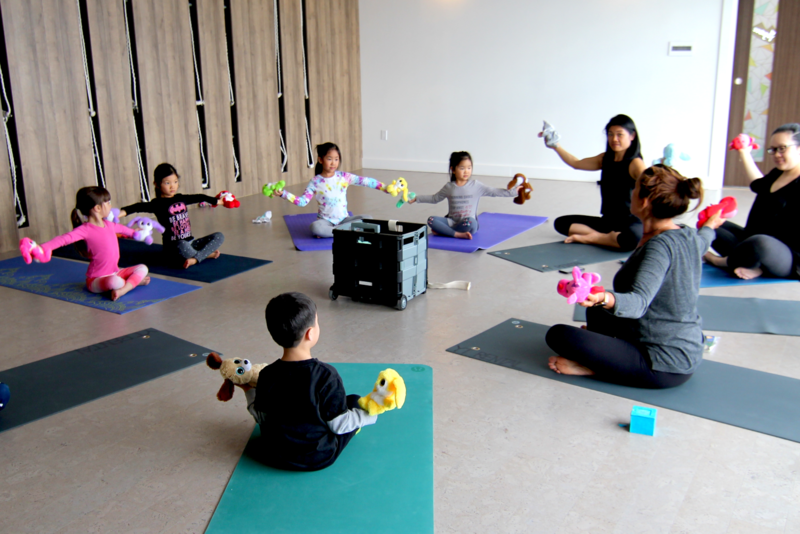 Since then, Yoga Tree has grown to be one of the largest chains of yoga studios in Toronto. Debbie is an inspiring female entrepreneur – she has been named one of the top 100 female entrepreneurs in Canada in the PROFIT/Chatelaine W100 ranking and awards program, and, just this week, has won a contest with KPMG and Richard Ivey School of Business Quantum Shift program that will allow her to participate in a five day developmental experience. Through the growth of Yoga Tree, hopefully they will continue to facilitate the empowerment of women through yoga. Empowerment is present everywhere in our studio. You can find it in words from our teachers and mentors, in support and encouragement from friends and fellow yogis, and from within on the mat. Find the power in your practice today! Practice pranayama – controlling the breath. This focus will help you find clarity and bring awareness to the body. Turn inwards and relish in your you-time. Holding any pose for an extended time forces you to confront perceived mental and physical limitations. Negative thoughts tend to arise when in a particularly challenging pose. You might find yourself comparing yourself to others or feeling incompetent. Try and find the strength to convince yourself that you make a good tree or eagle or chair or whatever pose brings out that cruel version of yourself and push through the negativity. But, also know, that you know your body better than anyone. Put aside your ego and know that you are in a space without judgement. Don’t push yourself beyond your boundaries, accept where you are in your practice and you’ll see progress soon enough. Speaking of progress… while we may show gratitude for our circumstances, we can all acknowledge that there are still improvements to be made – both abroad and at home – in regards to gender equality. Today we should celebrate women and the barriers that we have overcome, while recognizing the inequalities that still exist in our society.